You have all seen it happening: the tool drops into the new bathtub while working or the perfume bottle slips out of the wet fingers. Very annoying when the bathroom equipment has been harmed in this case. However, such damage can be removed simply and professionally. Precondition for a perfect repair is the quality of the material. For a durable restoration the use of high quality repair components is crucial. Inferior material will not protect the damaged area when exposed to water and the repair frequently will be visible in the end. With our products it is easy to professionally restore such damage to be virtually invisible. 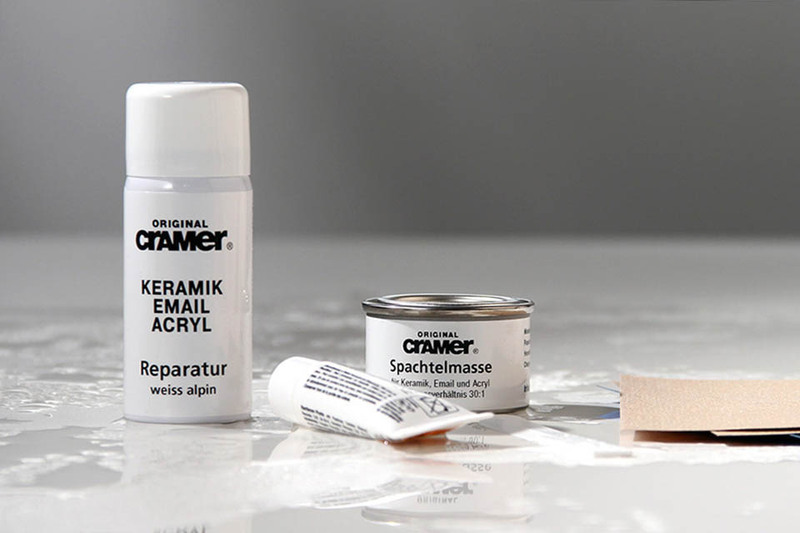 Also suitable for replacing missing glazes at the edges of tiles. For repairing minor damage, scratches and blemishes.